This is a large format book that incorporates three pocket books. Together these three short books provide an easy, one-stop introduction to the sort of modern, spiritual approach to life now adopted by so many in our society, yet still largely ignored by the mainstream media. 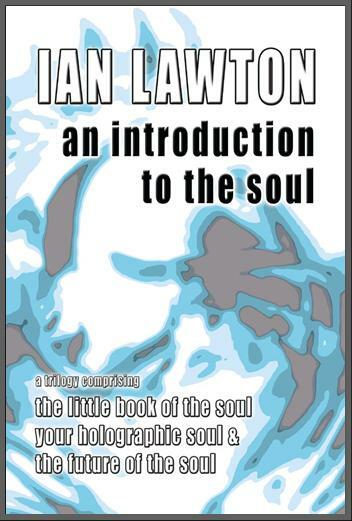 We start with The Little Book of the Soul, which uses a storybook style to present a number of cases of near-death experience and past-life recall. Such as the Indian girl with memories of a past life, who astonished her former husband by reminding him how he had borrowed money from her just before she died. This truly fascinating evidence underpins a rational approach to spirituality, and is interspersed with helpful summaries and analysis. This is followed by Your Holographic Soul, which tackles the big, universal questions like who or what is God, why are we here, is everything just an illusion and even why is the universe itself here at all? It uses the answers to build a simple theoretical framework that we can all use to make sense of our lives. It then lays out ten hugely important suggestions for how we can apply this understanding in practice, so we can help ourselves to get the most out of our time on this wonderful planet. The last book of the trilogy is The Future of the Soul, which again uses a question-and-answer style to present some incredibly positive yet grounded messages from channeled sources about 2012. These include that everything is just as it should be; that so many souls are on earth now to take advantage of an incredible opportunity that has been known about, planned for and eagerly awaited for thousands of years; and that the attention of the entire universe is trained on our humble little planet because no one knows the outcome. Above all they emphasize that the global shift in consciousness with which more and more people are resonating is already happening, and that the most important time is now!